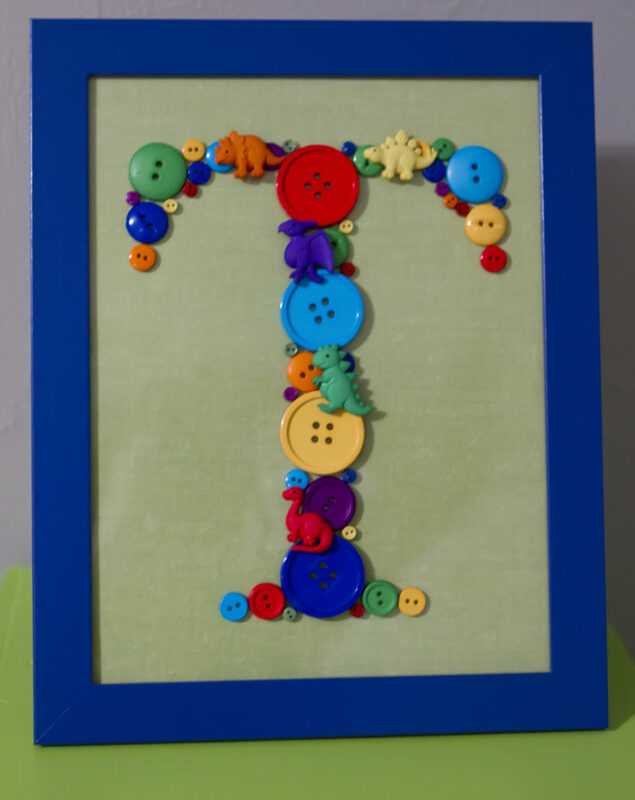 For our son’s room, we wanted something more than just a nursery. The room is rather large, so we made it more of a child’s room with a play area that he could grow up in, not immediately grow out of. 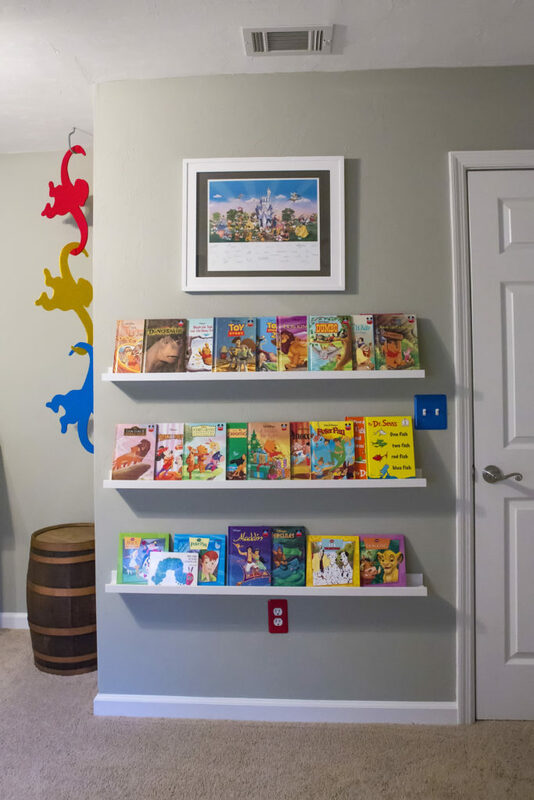 Both my husband and I are big Disney fans, so we looked towards Disney for inspiration, especially Toy Story! We also wanted a theme that allowed for friends and family to be able to contribute toys or decorations without having to worry about whether it "fit the theme". We chose primary colors to make the room colorful, bright, fun and stimulating. Most of the large furniture items in the room are from IKEA. We took a major shopping trip there to get all the items, including multiple bookcases, shelves, children’s toys and decorations and a comfortable chair for me! The crib is the DaVinci Ashbury from simplybabyfurniture.com, and it can convert to a toddler bed and a full-sized bed...so hopefully that will last for a long time! We decided on a light gray wall color (Benjamin Moore Gray Horse) and white furniture to be neutral against all the bright items in the room. We added lots of books and wooden toys, along with Toy Story and Disney toys. There is an area for arts & crafts, including a table and chalkboard/whiteboard easel.We even left space on the wall for his eventual works of art! and we completely redid the closet for added space and storage. We love all of our DIY projects so much, but our favorite is the hanging barrel of monkeys! They are just like the favorite children's toy, just much much bigger! Don’t confine yourself to what others think a nursery should be. 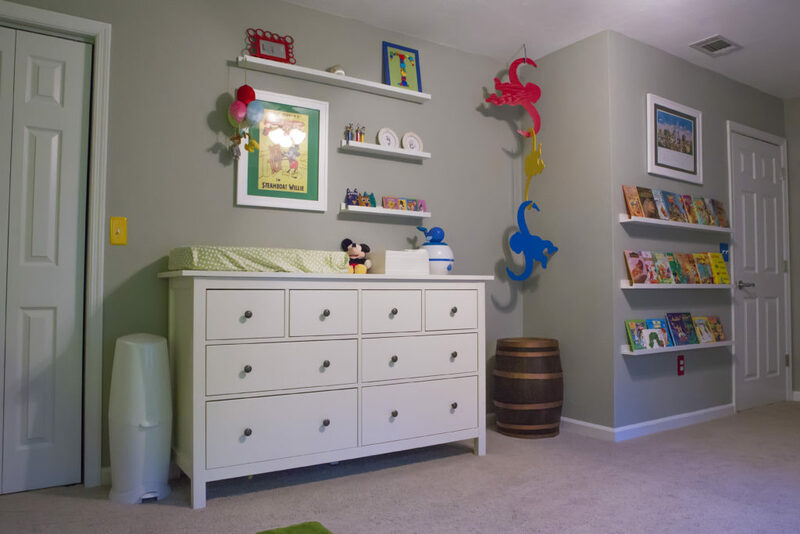 Kids grow up so fast, so a nursery doesn’t have to be just for when a child is a newborn; it can also be a room that they can enjoy for at least a few years. OMG! WHAT A LOVELY PLAYROOM! I’d like to see this though after the kids have played in it! I love the hanging barrel of monkeys! this room is so fun! Just how did you make those scrabble letters? They’re divine! I am a first-time mom from Tallahassee, FL. I am a Certified Public Accountant that works full time and my husband is a photographer that will be working from home in order to take care of our son. I enjoy blogging about our adventures and I can’t wait to see what new adventures our son will bring our way. Our home away from home is Disney World!